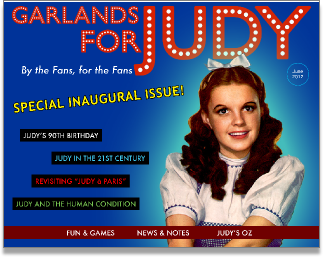 Garlands for Judy is a free webzine. It's a continuation of the former print version that the late Scott Schechter began in 1995. Schechter tragically died suddenly in the Spring of 2009. 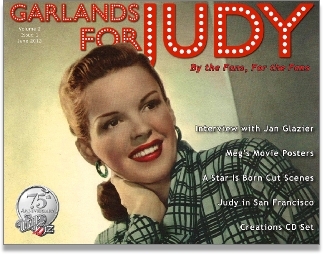 At that time, he was in the throes of several projects, including working on the latest edition of his “Garlands for Judy” magazine. The magazine was a pet project for Scott and something that he was very proud of. Scott and I chatted off and on about Garlands for Judy. 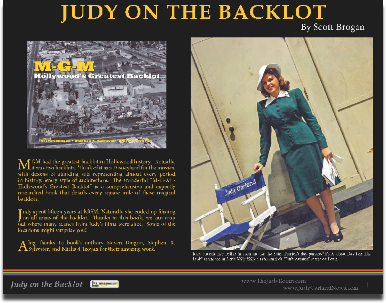 He expressed to me his desires to make changes to the magazine, and possibly “take it to the next level.” He said that he wished it could be more like The Judy Room’s Year in Review, mainly because they were (and are) all-color. Printing costs prohibited him from going all-color as he wanted. He didn’t want to raise the subscription price of his magazine. I think it was just fine in black and white. 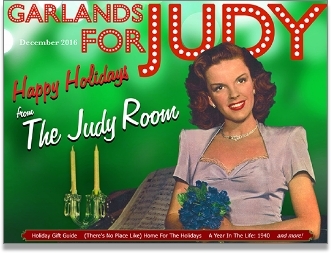 We discussed various options for changing Garlands for Judy, including web pages, PDFs and interactive PowerPoint shows. Obviously none of these ideas saw the light of day due to his death. 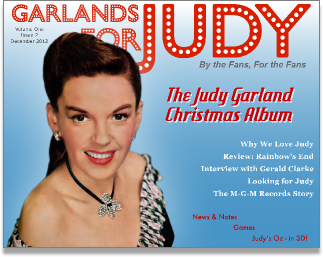 The first edition of Garlands for Judy was published in November 1995. 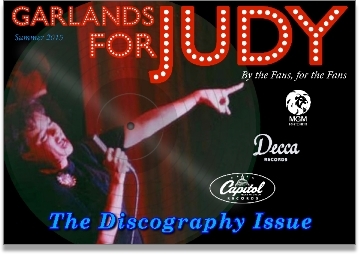 In it, Scott stated: “Whenever it is warranted, the majority of the pages will deal with the current audio and video releases (along with other mediums) to preserve and present this legacy today (with the look back at various career activities saved for times when there is not much “new” product being issued).” This new version will do the same. 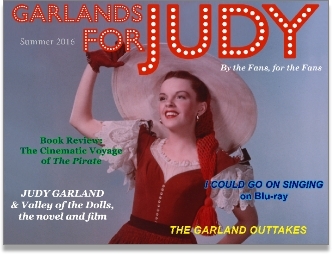 Highlight from that first issue in 1995 include: Reviews of the Rhino CD soundtracks of Meet Me in St. Louis, Ziegfeld Follies, Easter Parade, two Wizard of Oz sets, the Mickey/Judy 4 CD set and the That’s Entertainment! 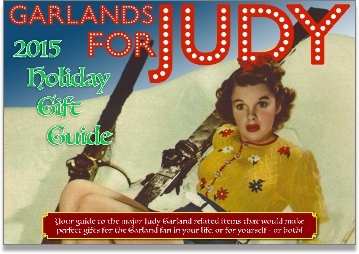 boxed set; an essay by John Fricke titled “John Fricke Writes About Rhino (and Capitol)”; an essay about “Garlands Girls”; and much more. 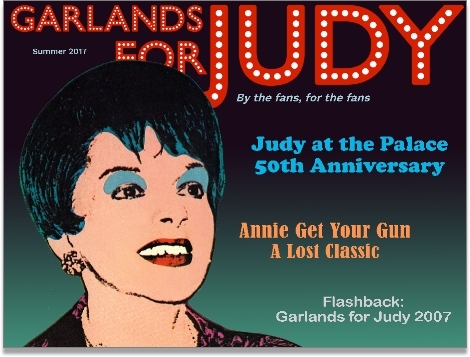 What’s interesting is that first issue of Garlands for Judy was one of the last Garland fan publications released before the Internet took over. November 1995 was still a transitional period. Many people did not have email or home computers at all. 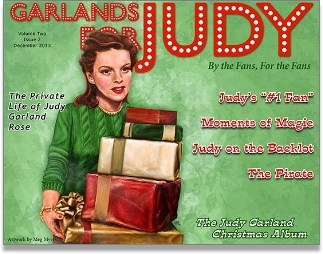 Thus, Garlands for Judy was printed in a mimeograph style (not on a laser printer) and all the contact information was for “snail mail” without any emails or “www....” web addresses. How times have changed! 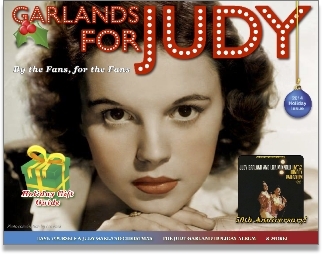 What hasn’t changed is the hope that the new Garlands for Judy will be a collaborative effort by the fans, for the fans that celebrates the life and legacy of our favorite, and the world’s greatest, entertainer: Judy Garland! CLICK HERE to download the high-quality print-ready PDF. CLICK HERE to download the "web-friendly" PDF. 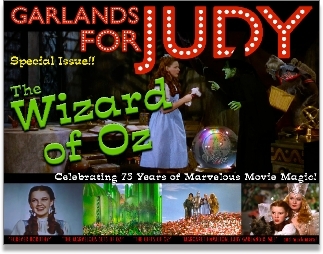 AUGUST 2014 - SPECIAL "WIZARD OF OZ"